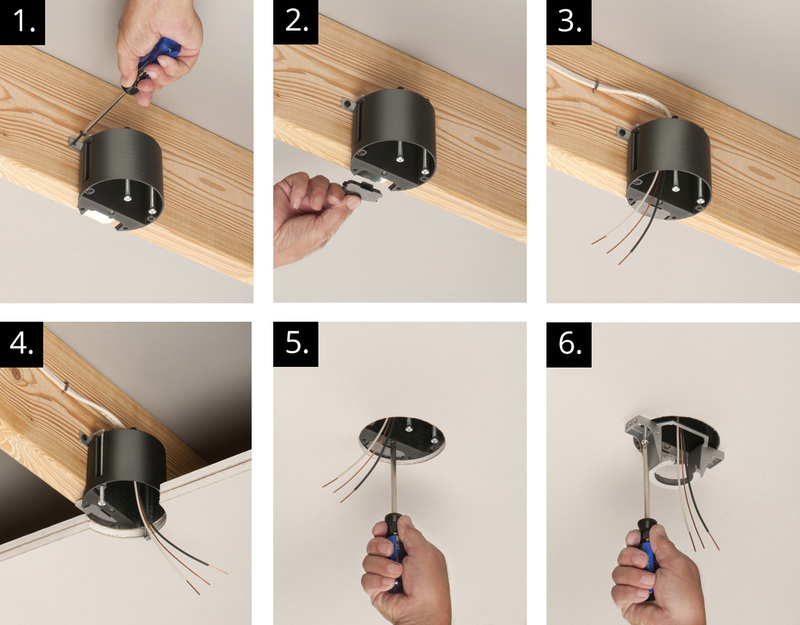 1-1/2" to accommodate varying ceiling thicknesses, like single or double drywall. 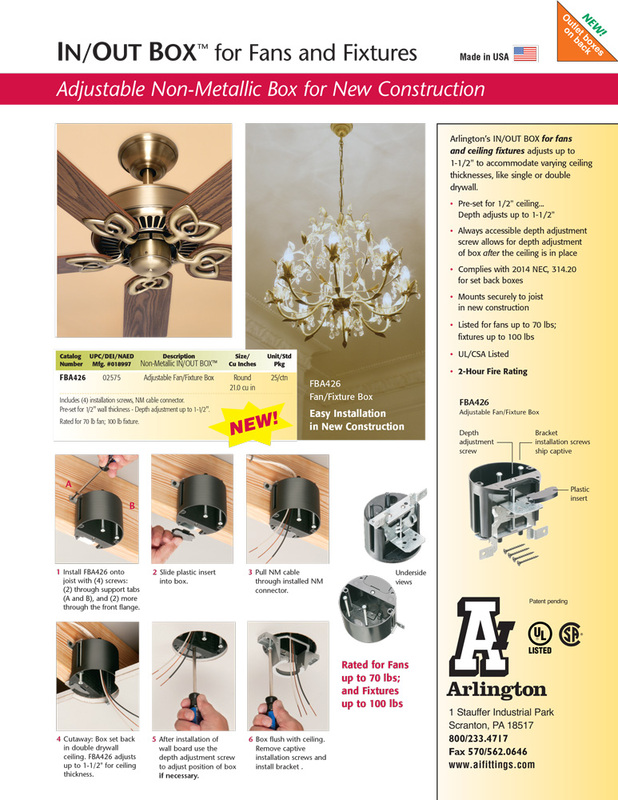 It mounts securely to the ceiling joist in new construction and is listed to support fans up to 70lbs and fixtures up to 100lbs. The FBA426 features an always accessible depth adjustment screw that allows for depth adjustment of the box AFTER the ceiling is in place. It complies with 2014 NEC, 314.20 for set back boxes and is also UL/CSA Listed. 2. Slide plastic insert into box. 3. Pull NM cable through installed NM connector. 4. Cutaway: Box set back in double drywall ceiling. FBA426 adjusts up to 1-1/2" for ceiling thickness.